Kalaripayattu is the traditional martial art style of Kerala that translates to mean trained for the battle field. This form of martial art is for those who wish to build their internal as well as body strength. Increases body flexibility as it trains you to fight and protect yourself. This art builds your strength and believes that body strength is maximum only when you are internally fit and healthy. So, it strengthens you both physically and internally. Many moves are super quick which trains you to be fast and increasingly agile and aware of your surroundings. It gets you going and eliminates any amount of laziness keeping you more energised. The art form increases you drive and determination and the trains boosts your focus and concentration powers. Not something easy or quick to learn, Kalaripayattu takes time to master, teaching you the value of patience and staying calm. 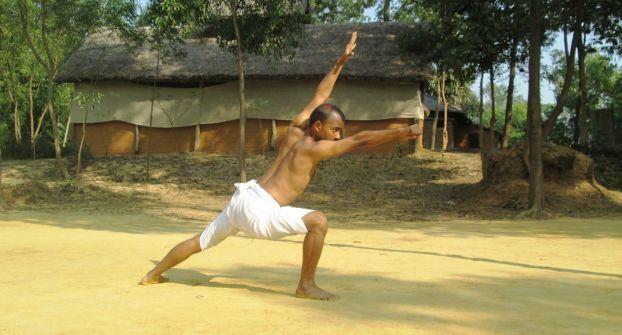 This form of martial art not only trains you to fight and defend but teaches many yoga aasans as well. Learning yoga during the process helps you get rid of stress and brings about a positive change in life. Over a period of time, the moves taught help you develop some of your own which improves your presence of mind. It is as good as any gym training session, is a powerful exercise regime and works on building your endurance. And of course it definitely helps you in self-defence if someday you are under some real threat. Why not do something today and try to learn a new art form?